If you love to use fabric paint and do fusible applique, combine your hobbies in this child's quilt based on a familiar song. 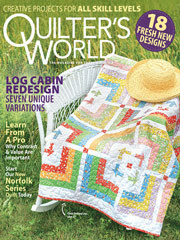 This e-pattern was originally published in New Ways to Applique. Size: 37 1/2" x 47 1/2". Block Size: 6 1/2" x 9 3/4".